Fantastic prizes for all age groups (with at least 3 participants) and collegiate divisions from team sponsors Rudy Project, Xterra Wetsuits, Hammer Gel, and Big Shark Bicycle Co. Wave start with 8 people in each wave. Check-in and race-day registration begin at 6 AM on the day of the race. There is no pre-race day packet pick-up. Wave times for pre-registrations will be sent out the week beforehand. Race check-in and registration closes at 9 AM. Enter the athletic center through the varsity entrance to the right (north) of the bear statue. All participants need to be on the pool deck 45 minutes before their wave's published start time. First wave at 7 AM, last wave begins between 11 AM and noon depending on registration numbers. Award ceremony around 12:30 PM. 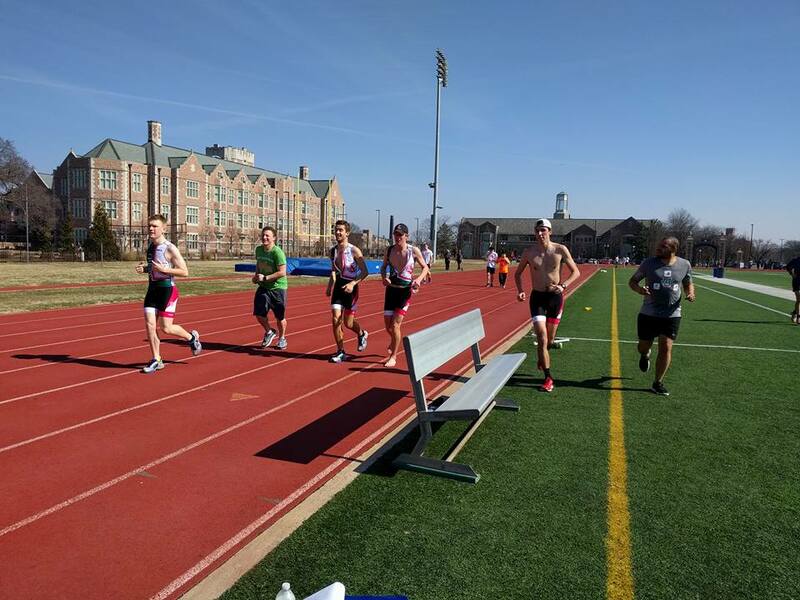 All three legs of the race, changing area, and transition zones take place within the Washington University in St. Louis athletic complex. Parking is available on a first-come, first-serve basis in the garage outside of the gym and in designated areas across campus. 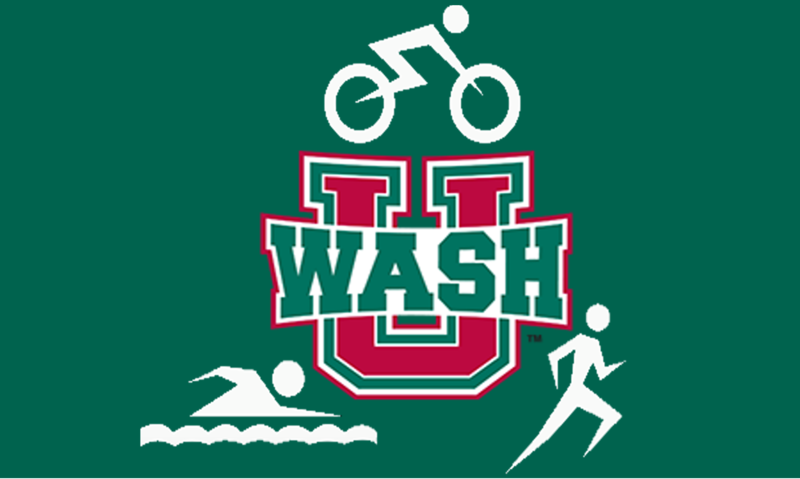 All age group and collegiate racers need to be active USAT annual members or purchase day passes. Government identification/School ID and some form (physical or digital) of a USAT membership card is required (for annual members). We minimize time between disciplines to the best of our abilities within the indoor environment. Time between legs to change outfits will not be given.